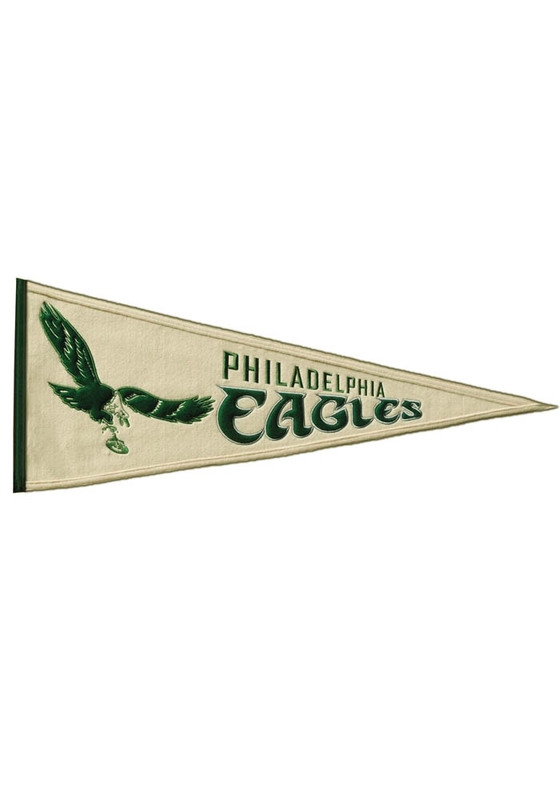 Brighten up your Eagles decor with this Philadelphia Eagles Pennant. This Pennant features a team colored pennant with Throwback team name and logo. Go Eagles!